The arrest of a Florida corrections officer on charges that he battered his girlfriend, once again raises the issue of how an arrest – let alone a conviction – can mar a person’s reputation or destroy a career. Fort Lauderdale criminal defense attorneys understand that this fact is one reason why domestic violence victims don’t come forward. However, it’s equally the case that spouses of those in law enforcement know how much such an allegation can hurt, and often use it as a form of revenge. Because responding officers frequently feel compelled to take some form of action and they have little to go on except one person’s word against another person’s, domestic violence arrests are often made without a great deal of evidence. Police agencies want to relieve themselves of any liability if something more serious does occur later on, and therefore, someone is most likely going to jail. Unfortunately, even if an alleged victim later tries to recant their story, a case can sometimes still move forward. At the very least, a domestic violence arrest is going to put a law enforcement professional’s career on hold. At worst, it can end it. Having an experienced and aggressive defense lawyer is your best bet for a more favorable outcome. False allegations most typically arise in situations where the couple is embroiled in a break-up or a situation of infidelity. Some men falsely accused of domestic violence may choose not to fight back because they feel it may be somehow deserved due to the way a relationship is ending. This is a mistake, however. Even being a jerk doesn’t make you a criminal, and a conviction on a charge of domestic violence is going to haunt you for the rest of your life – long after you’ve both moved on from one another. For those in law enforcement or the military, it can mean the end of a career. For anyone convicted, it can me a revocation of their right to own firearms. Other false allegations may stem from a situation of self-defense. For example, the female half may attack her boyfriend or husband, who then uses reasonable force to fend her off or protect himself. Police may use that as probable cause to arrest the husband. Medical reports, witness statements, physical evidence at the scene and peripheral circumstantial evidence can sometimes be used to combat allegations in these scenarios. Another element that may work in your favor could be the consumption of alcohol by the alleged victim. It’s not always an effective defense, but there may be some cases in which it can be proven that an alleged victim’s testimony can’t be considered reliable, based on his or her consumption of alcohol or other substances at the time of the incident. In the recent case of the Florida corrections officer’s arrest, the pair were reportedly staying at a hotel when they became engaged in a verbal argument. The girlfriend left the room and he later told deputies that he followed her. The pair continued their argument outside. Witnesses said that when the victim attempted to walk away, the corrections officer reportedly yanked her arm to pull her back toward him. 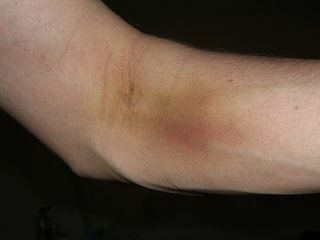 This allegedly caused bruising to her arm. She subsequently was able to walk away. Nearby witnesses contacted police, who arrested the corrections officer on charges of domestic violence battery, as defined in FL Statute 741.28.